VALIADIS S.A. has been supplying the industry with standardized squirrel cage induction motors since 1927. 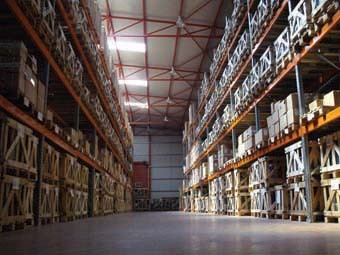 Today VALIADIS SA is a full-service electric motor sales and repair company, with main warehouse and office facilities in Athens, Greece, and a local branch in Thessaloniki. We are the leader in supplying new medium and low voltage motors, featuring one of the largest inventories in the Balkan Region. Our motors comply with the IEC- and DIN standards. To guarantee long service life and fault-free operation, the electrical and mechanical execution of VALIADIS electric motors can be adjusted to specific working conditions and special applications. This has also led to the production of special motors. We have new motors in stock, up to 630 HP for off-the-shelf delivery. Our cutting edge repair and service departments are unmatched in the industrial sector. To ensure that quality comes first, we invest in state-of-the-art motor repair equipment. Our large inventory, testing capabilities, technological advancements and knowledgeable staff means we can modify any stock motor. We can add the latest enhancements to improve performance and reliability to meet any custom need you may have. Both small and large series of VALIADIS electric motors are produced on an assembly line in our production facilities in Athens. Control measurements of the components are carried out in the assembly hall with the use of up-to-date calibrated measuring equipment. 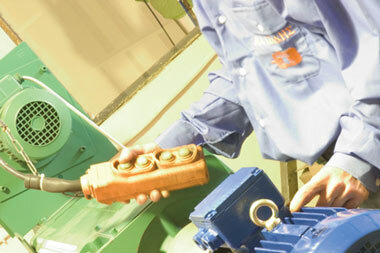 The assembly of standard and special motors is done by qualified personnel with the utmost precision and accuracy. All motors are checked for good performance after assembly. The motors are also subjected to high voltage and no load tests. Additional test procedures are carried out in the test field. This is where several motors can be tested with continuous or intermittent load simultaneously. The electrical and mechanical characteristics are determined in this way. Motors intended for “essential service” in shipping and offshore are surveyed by a classification bureau which provides a certificate. VALIADIS S.A. also tests on request of a customer (or third party) and performs full load tests. For this part of the market, motors are produced for use on and below deck, with or without brakes attached and are designed for ambient temperatures up to 55°C. These motors meet the requirements of the shipping classification authorities and those intended for “essential service” are provided with an official certificate issued by the classification bureau.